Starring Your Host and Compere Giuseppe Marinetti, Peter Faulkner Murphy, Helen Scarlett O’Neill, Harry Ross, Amy Bryce, Alistair Gentry and Special Guest Star (all the way from Amsterdam) Professor Russolo. 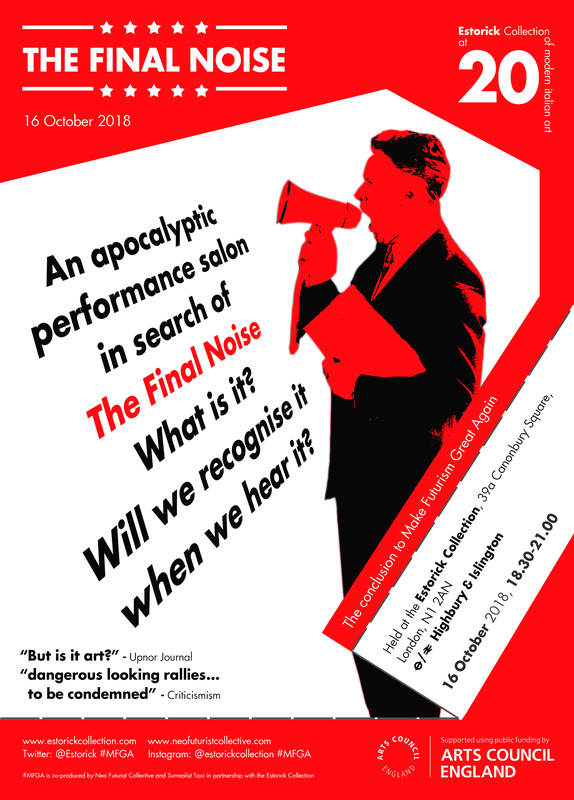 The Neo-Futurist Collective bring to an end their ten year career in a evening of Radical Self-Destruction. All Art Movements begin on the streets with a manifesto and a large measure of HOPE and OPTIMISM. They end in a blaze of RECRIMINATIONS and FISTICUFFS. Posted in featured, MFGABookmark the permalink.